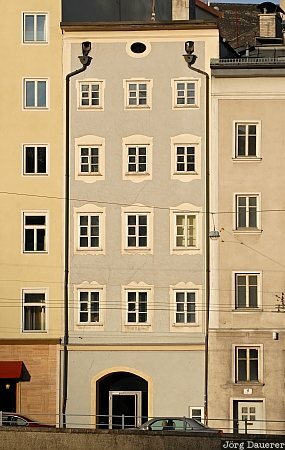 Facade and windows of a house next to the river Salzach in Salzburg, Austria. This photo was taken in the evening of a sunny day in January of 2008. This photo was taken with a digital camera.